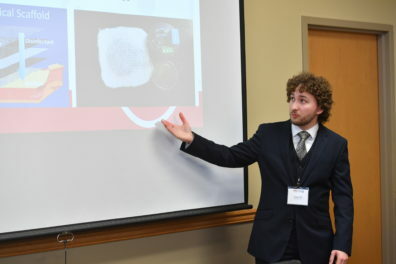 Student teams compete for tens of thousands of dollars in prizes. But the most valuable reward is the hands-on experience and business acumen they take away. The contest is open to all Washington State University students who are enrolled in the current spring semester. To enter the competition, a team must complete the online registration. Teams should include members possessing the essential background to enable the development of a serious business plan. Interdisciplinary teams are strongly encouraged. There is no limit on the number of members; however, small teams are recommended. For the first time, the 2019 BPC will also include a dedicated league for students outside WSU. Four teams from other universities will be selected for the Open League. At least two members of your team must be full-time undergraduate students. Teams may include graduate students. Teams must submit all required documentation to advance to the Final Round of the competition, including a full set of pro-forma financial statements for five (5) years (statement of cash flows with first year by quarter, income statement with first year by quarter, and balance sheet). No exceptions will be made to this policy. Advancing teams must send at least one team member to the Team Info Session. Remote access will be available on request for teams at other campuses or enrolled online. Advancing teams must also present in person during the Presentation Round of the competition. Only four members of the team will be allowed to present their idea before the judges during the Presentation Round of the competition. Advisors and other team members may observe, but may not participate in any way during the presentation, Q&A, or judges’ feedback session. The business plan must be developed during the student’s tenure at the university. 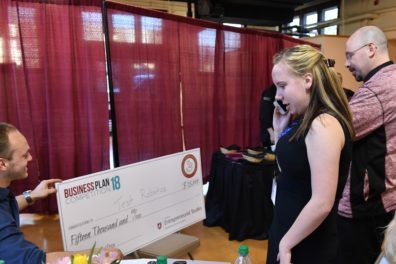 Students working with outside entrepreneurs must create an original business plan. All submissions to the Business Plan Competition must live up to the higher ideals of Washington State University. Your idea must be appropriate for a university-sponsored event. The Center for Entrepreneurial Studies reserves the right to disqualify any entry that in its judgment violates the letter or the spirit of the competition or exceeds the bounds of social convention. Prize money will be divided equally among all registered team members. We encourage all BPC teams to attend Resource Nights, a series of speaker sessions that bring in experts from WSU’s business community to discuss various aspects of starting and launching a venture. Offered throughout the spring semester, these sessions are open to all students and the public. The Screening Round is the first major hurdle you’ll face in the competition. Submit your 1-page executive summary online for scoring by our judges. Twenty-four presenting teams will be selected from this first round. After the Screening Round, you’ll receive an email naming the teams that will advance to the Presentation Round on the day of the Business Plan Competition. If your team is selected, you’ll need to submit your full business plan (4-7 pages), financial statements, and pitch deck (10-15 slides) by the deadline in the BPC schedule. Presenting teams are evaluated both on their written plan and their presentations. Judging criteria include team presentation and style, the customer problem, solution, value proposition, competitive advantages, market and sales strategy, management, financials and offering, and investment analysis. Judges choose the top team in each WSU league to advance to the final round. After a lunch break, competition organizers announce the top six teams that will advance to the final round. 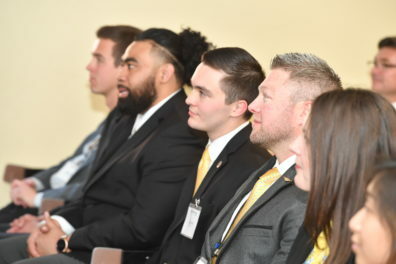 If you competed in the Presentation Round, you and your teammates will dine with the judges—a priceless opportunity to build professional connections. Following dinner, competition organizers will announce the winning teams. All participants own the rights to their ideas. Contestants must properly acknowledge any trademarks or copyrighted materials of others that are incorporated into the contestants’ materials. The contestants are responsible for obtaining any necessary permission before incorporating such materials into their submissions. 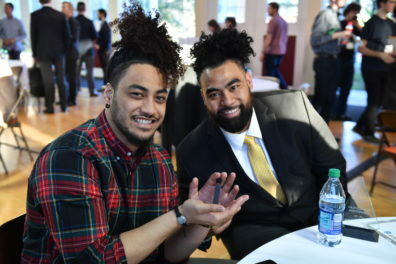 Once materials are submitted, Washington State University and its schools and colleges reserve the right to publish information about the contestants’ work in university publications and to release information to the news media. The judging/presentation will be conducted in an open meeting with possible attendance by faculty, students and staff as well as media representatives and the general public.